It’s Episode 143 of In the Mood for Podcast, a British-based film podcast hosted by Calum Reed of Ultimate Addict and Pete Sheppard of In the Mood for Blog. This week it’s time to go retro again, as this month’s Red Light District is a Best Actress spectacular, which gets us discussing (among other things) the women of 1948, and the testiness of Barbara Stanwyck. 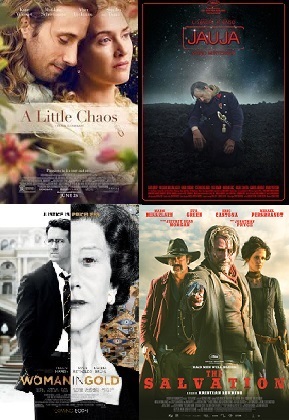 The week’s reviews concern Nazis, outlaws, gardeners, and wild goose chases, as we tackle Kristian Levring’s Western “The Salvation,” and courtroom drama “Woman in Gold.” Cal reveals all on the wilderness-set “Jauja,” while Alan Rickman’s sophomore effort “A Little Chaos” offered Pete a chance to atone for an earlier egregious omission. Elsewhere, there’s an unexpected shout-out to Courtney Love, Daniel Bruhl is saddled with another thankless role, and the trailer (and tagline) for Blake Lively’s latest project has us howling. 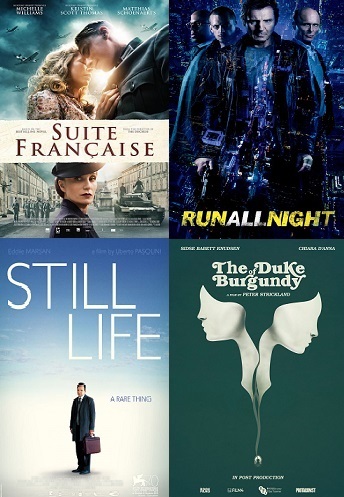 Red Light District: Revealing the non-new films we’ve been catching up with in the past month, featuring discussion of “Bill & Ted’s Excellent Adventure,” “The Furies,” “Joan of Arc,” “Lady Sings the Blues,” “Three Comrades,” and “Xenia”!